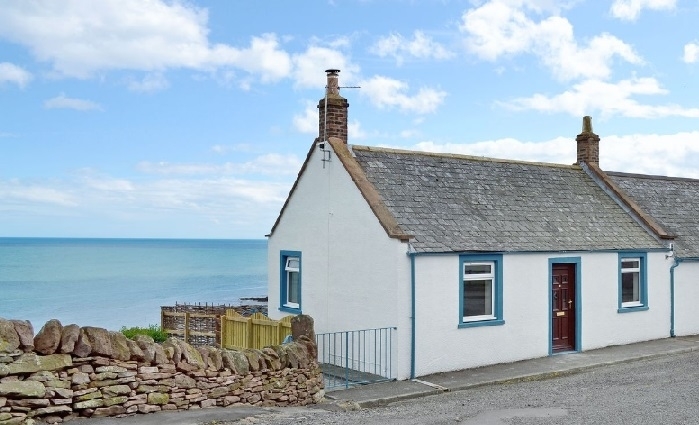 Cosy self catering cottage on the cliffs at the ancient fishing village of Auchmithie near Arbroath. 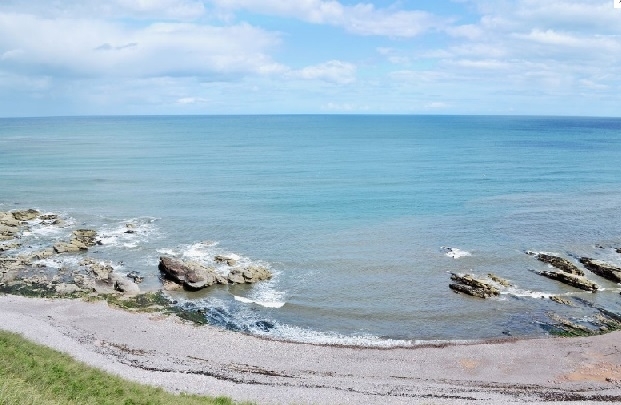 A dramatic retreat on the cliffs at Auchmithie. 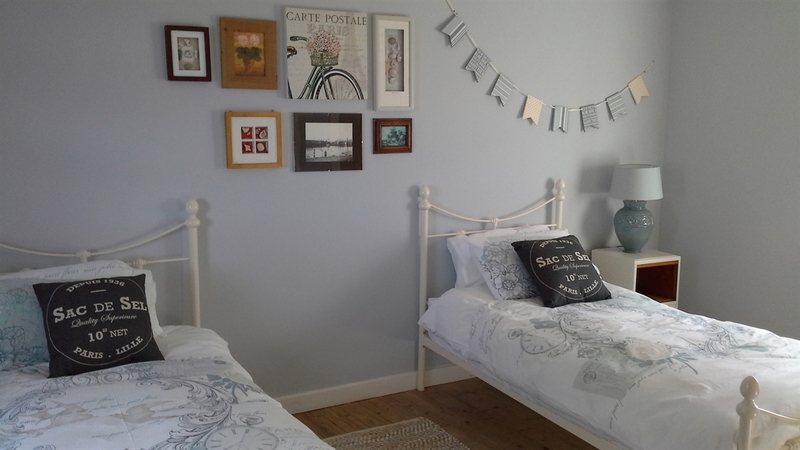 Our cosy cottage sleeps four and is the ideal place for a relaxing break. 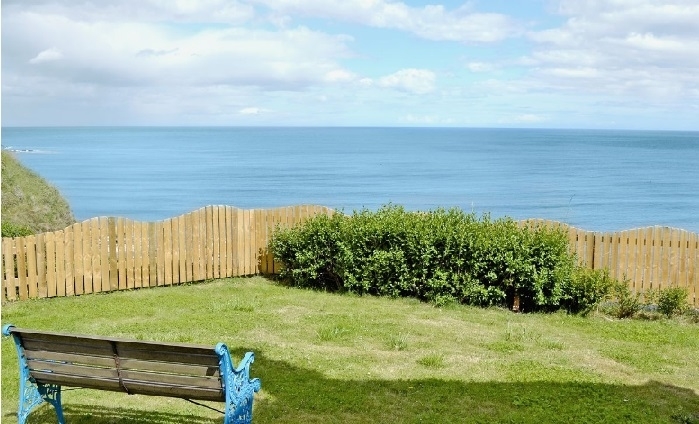 There are wonderful views from the house out to sea and to the beach below. 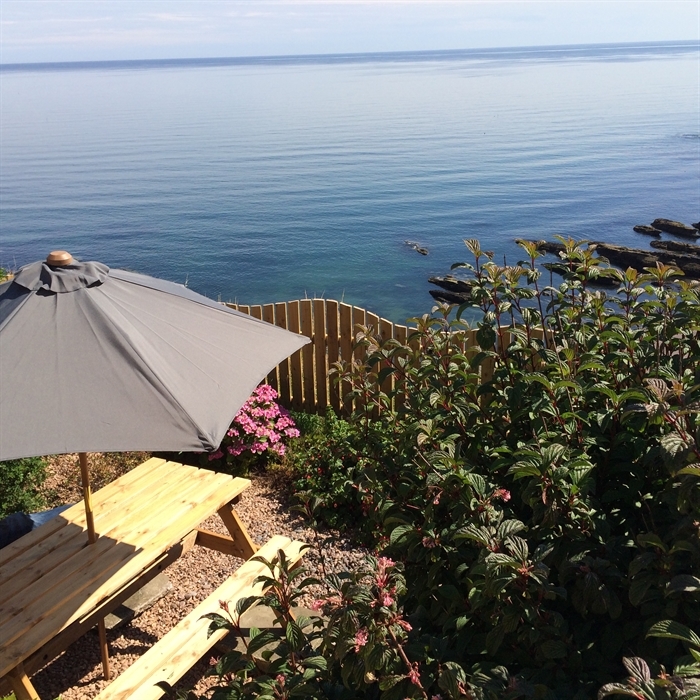 Why not enjoy a glass of wine in the secluded terraced garden while keeping a look out for the dolphins and seals that are often seen off the shore? 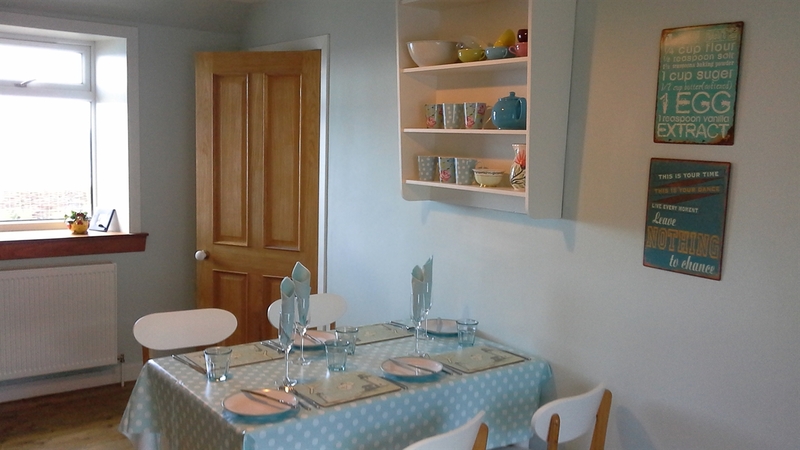 You can enjoy local seafood at the excellent But n Ben restaurant along the road. 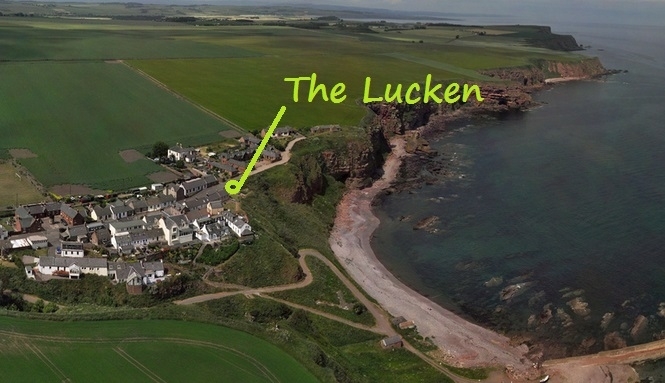 The ancient fishing village of Auchmitie has a fascinating history. 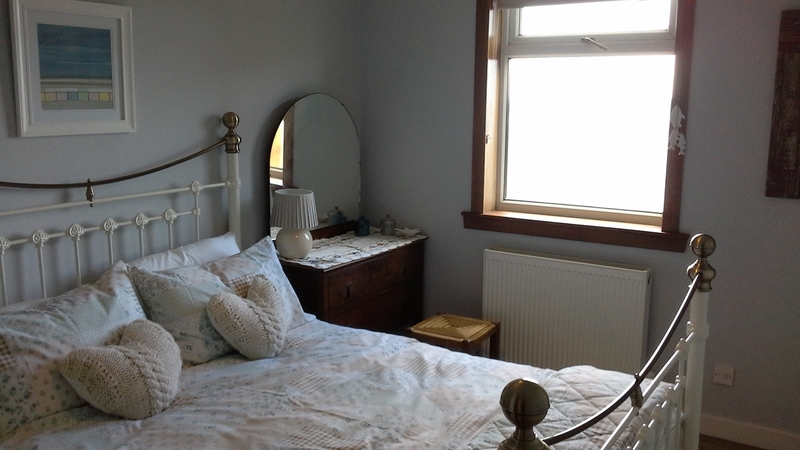 The Arbroath smokie was invented here and it's an ideal base for those looking to explore Angus and further afield. 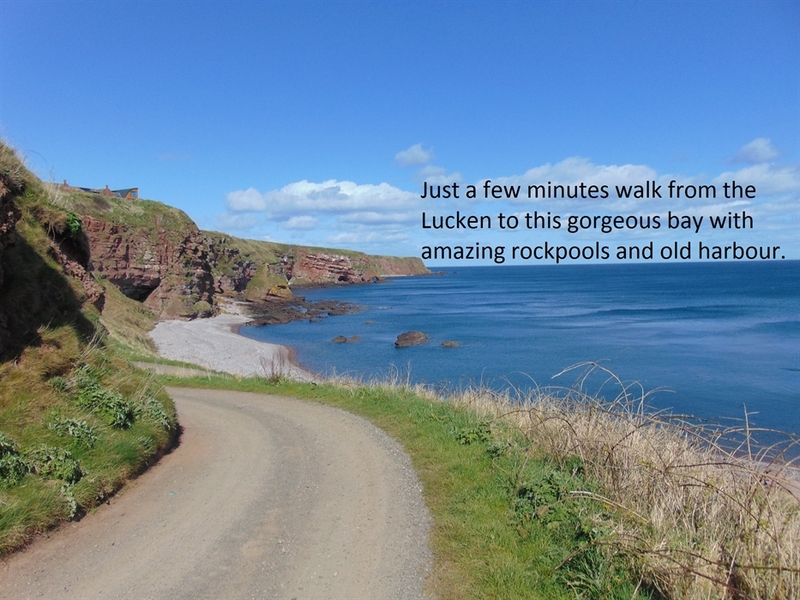 For the energetic there are plenty of walks and cycle paths as well as golf, fishing and even sea kayaking. Seagulls' eye view Panoramic views from the upper terrace of cliffs, sea and beach below. Amazing views from the lower terrace. Keep an eye out for the Dolphins! More dramatic views from the garden area. 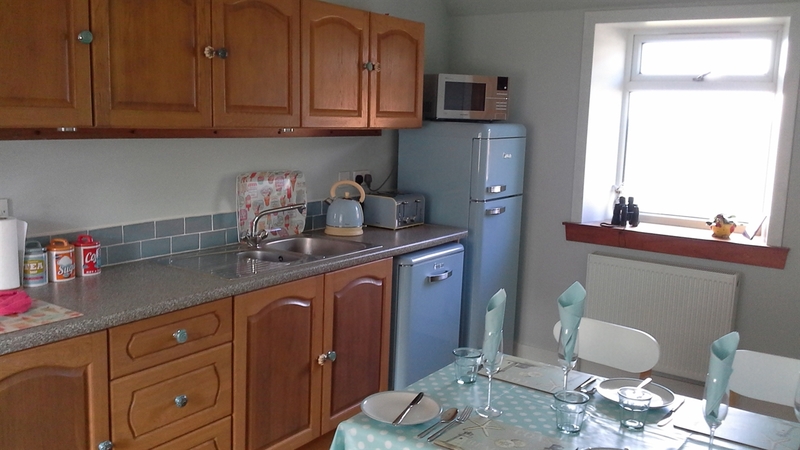 Spacious dining kitchen with lovely sea views.